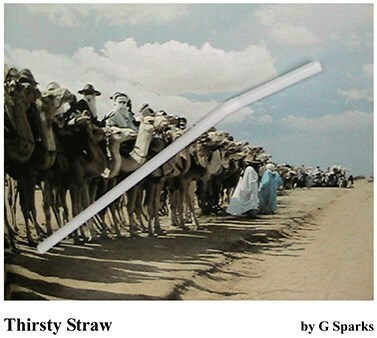 "Anywhere, anytime, a glass fills from a single Straw." Thirsty Straw, fills a Shot Glass with the Liquid of your choice. Put the Straw into the Glass. Magically the glass fills with liquid. Comes with the Any Liquid Gimmick, Gimmick Wrapped Straw and the Easy Instructions, to use any straw.